Yog Nog is one of my favourite LUSH soaps. It's creamy, spicy and warming. A few weeks before Christmas, the LUSH Kitchen announced that they were going to make it in perfume form. 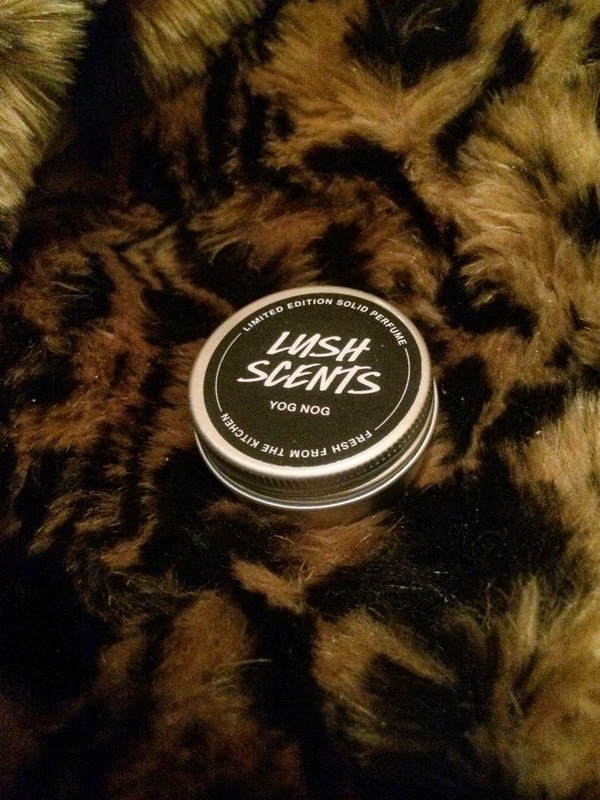 I went for the solid one, as I have enjoyed using LUSH solid perfumes in the past.